We’ve all been there: An unsightly blemish pops up overnight at life’s most inopportune moments, like before an important meeting or big date. 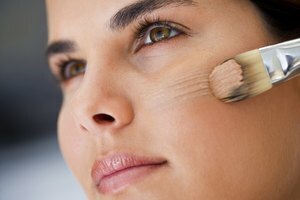 Before going on auto-pilot and spackling your face, consider substitutes for concealer that will do the same job without harming your skin. Akin to camouflage that hides blemishes and masks imperfections, concealer can also clog pores, delay the healing process of a pimple, or lead to further breakouts. Plus, your skin looks best when it appears real and natural, rather than covered by a heavy handed use of concealer. The latest innovations in both skin care and makeup make it possible to have a smooth, even complexion without caking on the concealer. Experiment with these DIY replacement or concealer alternative ideas to cover a blemish without hiding—or harming—your face. A full-coverage cream or liquid foundation is an excellent substitute for concealer. Spot treat the affected area(s) by dabbing on a small dot of foundation using your ring or pinky finger (they're more gentle than your index finger) to blend with the surrounding skin, and allow to dry before applying any more makeup. Opt for foundation with a label that includes a high percentage of ultra-refined pigments as one of its ingredients. These tiny color spheres visually erase imperfections with a blurring effect to smooth and even the skin while diminishing the appearance of blemishes, scars, hyperpigmentation, and redness. Think of it as the makeup version of a Snapchat filter. Once dry, apply the same foundation to the rest of the face using a silicone makeup sponge to create a flawless, airbrushed effect overall. 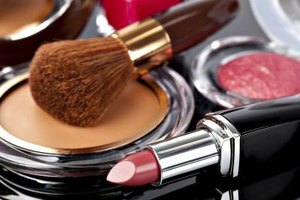 Loose powder was likely used by your mother or grandmother to set makeup. But did you know it can also be used as a concealer replacement? Substitute powder for concealer to blur the appearance of pores, fine lines, and blemishes. According to an interview with beauty expert Huda Kattan, a “baked” version of a powder is key to creating a flawless finish. Use a controlled amount of a fine powder to brighten and revitalize dark under-eyes, minimize trouble spots, subtly color correct, and provide high coverage. Ever since Korean skin care made its way west to the United States in 2011 when Sephora stores began carrying Korean beauty brand Dr. Jart, CC (color or complexion corrector) creams and cushion compacts have been in the spotlight. These are the ultimate hack for when you’re pressed for time (or just lazy), as concealer replacements treat several skin issues all at once. CC creams cover and treat skin discolorations, blemishes, and age spots, while offering lightweight, buildable coverage that minimizes and neutralizes redness. Most also provide SPF protection, antioxidants, skin-brighteners such as Vitamin C, hyaluronic acid, and peptides. Peter Thomas Roth of his namesake clinical skin care line, explained in an interview, "Using a matte-mineral version of CC cream can help instantly diffuse the appearance of imperfections, evening out both skin tone and texture." Make your own mix using items already in your medicine cabinet. Begin with a base of moisturizer (a thick, hydrating formula that includes almond or coconut oil tends to be easier to work with), add a powder in your skin tone, and one drop of a facial oil, such as Pai organics rosehip bioregenerate oil or Herbivore orchid oil. Blend together and apply over the skin where concealer is needed. Try these to skip the concealer, save your skin, and put the spotlight where it belongs: on your confident complexion.